All medications come from the manufacturer with an expiration date on the stock bottle. When dispensed into a pill vial, this date may or may not be put onto the prescription label, depending on labeling regulations in your community. As a general rule, this expiration date represents a ‘best before’ date, related to the chemical stability of the product. However, outside factors can influence the shelf life of medications, including exposure to light, heat, humidity, improper storage, etc. To some extent, the formulation of a product determines its stability. Pills and capsules that are stored in a clean, dry, sealed container at room temperature tend to have a reasonably long shelf life. Exceptions to this include Vitamin C and essential fatty acids, which break down rapidly if exposed to air. If the medication is a powder that is reconstituted with liquid before use, it tends to be reasonably stable before reconstitution. Once mixed with water, liquid medications have a short shelf life that can range from a few hours for an injectable product to a few days or weeks for an orally administered product. Storage and handling are critical factors in preserving the shelf-life for liquid medications; some may need to be refrigerated, while others will break down more rapidly if refrigerated; some liquids must be shaken well before use, while others, such as insulin, must never be shaken. In some cases, the medication will change its appearance or consistency as it breaks down. Before you use any liquid medication, inspect the liquid for abnormalities – for example, if it was previously clear and it is now cloudy – even if it has NOT expired – DON’T use it. Pills or capsules change their texture with age, and may become crumbly, hard or sticky. 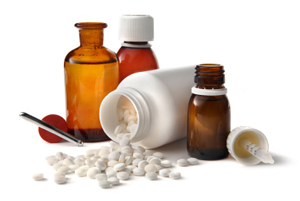 However, some medications do not undergo a change in appearance when they are expired. As a general rule you should discard any liquid medication 2 weeks after it was mixed and discard any pills or capsules 6 months after they were dispensed. This is the rationale behind recommending that you clean out your medicine cabinet twice a year and discard any expired products. Never give unused products to a friend or donate them to an animal rescue organization – prescription drugs can cause serious problems when used inappropriately. And NEVER flush expired medication down a drain or throw it into the garbage; instead contact your veterinarian or pharmacist for advice on safe disposal in an environmentally friendly manner. Remember — using a product after it has expired may put your pet at risk – in most cases, the product will not be as effective, but the occasional product may become toxic or cause serious side-effects. Even when times are tough, is it really worth the risk to your pet from using expired medications?